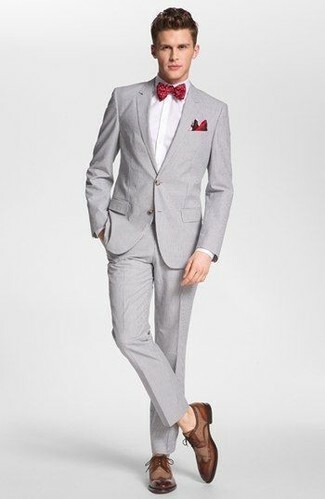 Consider teaming a grey blazer with grey dress pants for a sharp, fashionable look. To break out of the mold a little, rock a pair of Steve Madden jetset plain toe derby. 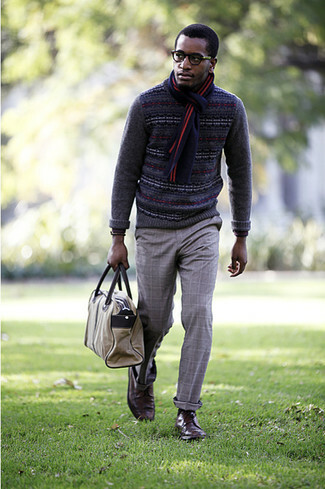 For a smart casual look, pair a charcoal fair isle crew-neck sweater with grey plaid dress pants — these items fit perfectly well together. When it comes to shoes, this outfit pairs nicely with brown leather derby shoes. 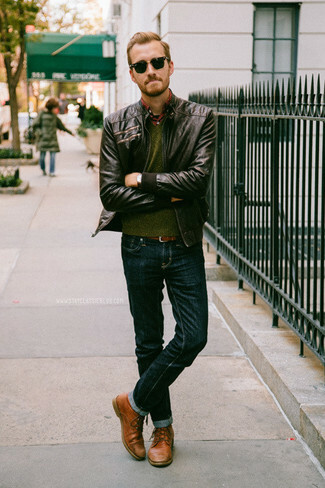 If you're on the lookout for a casual yet seriously stylish outfit, make a brown leather bomber jacket and navy jeans your outfit choice. Both garments are totally comfortable and will look great together. Kick up the cool of your look by rounding it off with Steve Madden jetset plain toe derby. 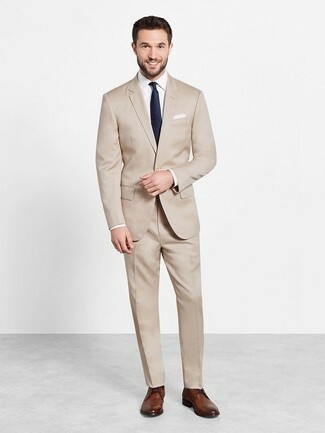 Make a beige suit and a white dress shirt your outfit choice like a true gent. For something more on the daring side to round off this getup, go for a pair of Steve Madden jetset plain toe derby from Nordstrom. 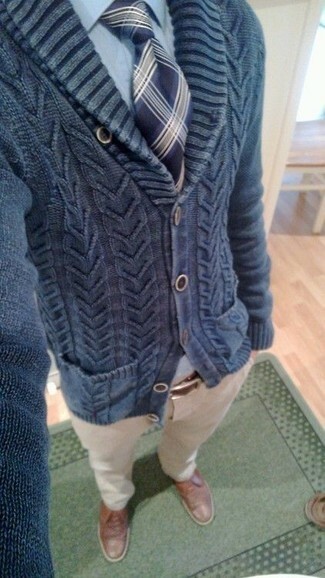 This combo of a navy shawl cardigan and beige chinos is so easy to throw together in no time, helping you look amazing and ready for anything without spending a ton of time digging through your closet. Channel your inner Ryan Gosling and rock a pair of brown leather derby shoes to class up your ensemble. 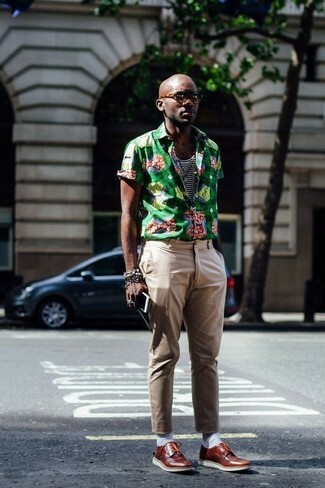 If you're searching for a casual yet on-trend look, pair a green print short sleeve shirt with khaki chinos. As well as super comfy, these garments look incredible when worn together. 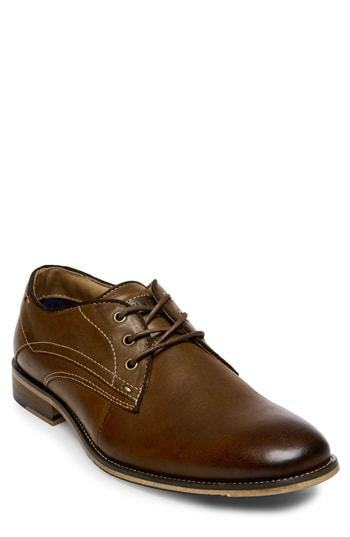 Bring instant interest and excitement to your ensemble with brown leather derby shoes. For a nothing less than incredibly stylish look, dress in a grey suit and a white dress shirt. Choose a pair of Steve Madden jetset plain toe derby from Nordstrom to make the ensemble more current. For a nothing less than incredibly stylish getup, pair a brown three piece suit with a white dress shirt. For a more relaxed take, grab a pair of Steve Madden jetset plain toe derby from Nordstrom. 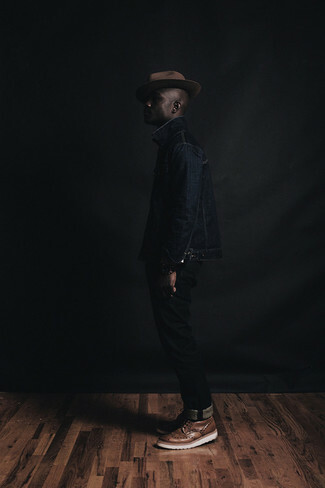 If you're looking for a casual yet stylish look, consider teaming a navy denim jacket with black jeans. Both pieces are totally comfortable and will look great paired together. Channel your inner Ryan Gosling and rock a pair of Steve Madden jetset plain toe derby from Nordstrom to class up your outfit.